Melbourne, Florida – Brevard County Sheriff Candidate Todd Maddox will do something no other Brevard County Sheriff candidate has ever done before—walk across the entire county in four days to raise awareness about the upcoming important sheriff’s race. 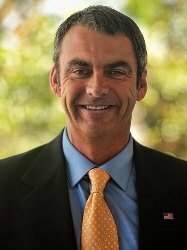 Maddox's walk is reminiscent of the 1,003-mile walk across the State of Florida undertaken by former Florida Governor and U.S. Senator Lawton Chiles in 1970 which earned him the title 'Walkin Lawton' and propelled the then relatively unknown politician to the forefront of Florida politics for nearly three decades until his death in 1998. Maddox will spend four days and about 40 hours walking across the county, meeting with local residents and encouraging people to get out to the polls and vote. Organizers say he will average about 20 miles per day—and will start walking at 7 a.m. each day (except day one which will begin at 6:30 a.m.) and end in the afternoons about 4 p.m.
Viewers will be able to watch portions of the walk live in a video stream online at www.MaddoxForSheriff.com. The live stream will also have details on how to interact live with Todd Maddox at the end of each day. During the four days, Maddox supporters will gather at various locations to hold signs and support his efforts. The public will also be invited to walk with him at various locations. Organizers added that the walk could get delayed if threatening weather and lightning occur. 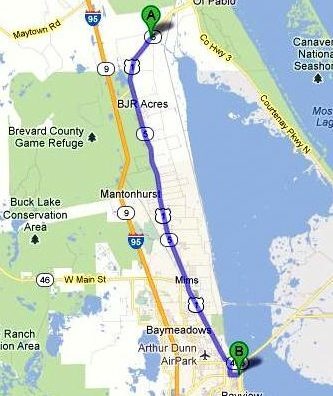 Monday, August 6 – (DAY ONE) – Start at north end of Titusville at County Line on U.S. 1. Will arrive at Supervisor of Election’s office in Titusville (at South Street) around noon. Will complete walk at County Road 405. Tuesday, August 7 – (DAY TWO) – Start at Port St. Johns. Will arrive at Supervisor of Election’s office in Merritt Island around noon (at Courtney and 528). Will continue on U.S. 1 through Rockledge and end at the Boater’s Exchange (located at 2145 U.S. 1). Thursday, August 9 – (DAY FOUR) – Start at the Melbourne Beach Library (with Todd Maddox voting at 8 a.m. during the first day of early voting). Cross the 192 Causeway and continue south to Barefoot Bay. Finish line will be located at the Winn Dixie Shopping plaza (located at 7960 U.S. 1 in Micco). Maddox has been in law enforcement for more than 26 years and is very involved in the Brevard County community. He has served at the Brevard County Sheriff’s Office for the past 22 years and currently holds the rank of lieutenant. During his career, he has received numerous bars of merit, letters of appreciation and was awarded the Deputy of the Year in 2002. For more information about Todd Maddox, visit www.maddoxforsheriff.com/ and on Facebook at “Todd Maddox for Sheriff.” The primary for the Brevard County Sheriff race will be held August 14 and the general election will be held November 6 of this year.